This 8 days Uganda Primate Safari has chimpanzees, mountain gorillas and wildlife safaris on the tour menu. – Gorilla trekking in Bwindi Impenetrable Forest. When you arrive at Entebbe International Airport you will be received by our driver guide who will take you to Kampala for overnight at City Blue Hotel or Serena Hotel. In the morning, you advance to Kibale National Park. 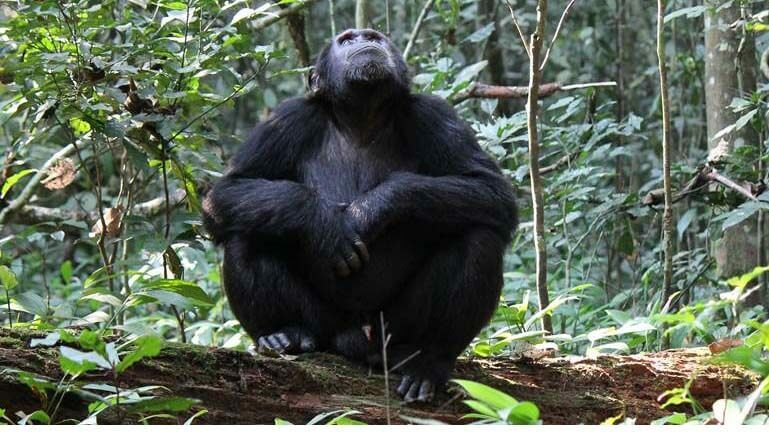 Kibale National Park is Uganda’s renowned habitat for chimpanzees which are the closest relatives of man. Take your Accommodation at the Mountains of the Moon Hotel, Primates Lodge Kibale or Kibale Safari Lodge. Day 3: Take Chimpanzee Trekking, move to Queen Elizabeth National Park. Have breakfast and be transferred to the park offices for briefing before trekking through the forest to search for chimpanzees (Chimpanzee Tracking Uganda). During this Uganda Chimpanzee Tour, you will meet chimpanzees and other primates like the red-tailed monkeys, colobus monkeys and many more. The forest walking will give you an opportunity to see a number of primates, Birds and Butterflies through a forest-sheltered trail. After good times with chimps, return to the lodge, take a rest and later have lunch. In the afternoon after, you will leave for Queen Elizabeth National Park, one of the biggest and busiest parks in Uganda. Arrive in the evening and stay at Enganzi Lodge, Ihamba Lakeside Safari Lodge or Mweya Safari lodge. On this day, you will wake up early enough, take some tea and snacks and then go for a morning game drive. You will likely see elephants, hippos, leopards, spotted hyenas, lions, bush bucks, stripped jackals, water bucks and warthogs and many animal species. After a game drive, return to the lodge for a heavy breakfast. 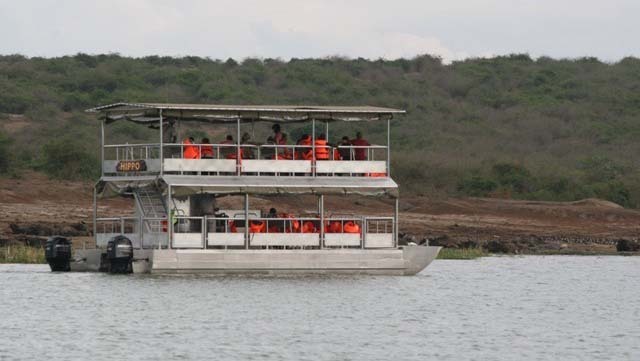 You will later have lunch and then go for a boat cruise on the Kazinga Channel. Kazinga channel, running through Queen Elizabeth National Park is 40 km water channel that links Lake George to Lake Edward. Visiting sailors on the boat will see many buffaloes, elephants, hippopotamuses and several bird species in the waters and on the shores of the channel. It’s an interesting 2 hour boat cruise, full of many wildlife surprises. Return in the evening to the lodge. Stay overnight at Enganzi Lodge, Ihamba Lakeside Safari Lodge or Mweya Safari lodge. Day 5: Game Drive and Connect to Bwindi then after. Day 7: Drive back to Kampala, have a delicious lunch en route. The driver will drop you to the airport 3 hours to your departure flight. 3 Days Budongo Forest Chimp Trekking. Budongo is part of Murchison Falls Conservation Area.